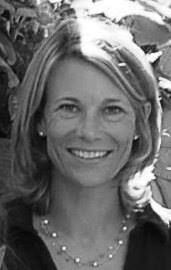 Caroline Cobb Ervin, a landscape and garden designer, studied landscape design at George Washington University. Since 2007, she has worked closely with her clients to design, install and maintain both small and large residential gardens in Washington, DC and its nearby suburbs. She has created gardens for clients on Maryland's Eastern Shore, along the Delaware coast and in her home state of Texas. Travels to gardens throughout the United States, as well in Europe, have added to her design background and understanding of historical gardens. More than 20 years of hands-on gardening experience gives her additional understanding and knowledge of soils, plants and diseases. Whether your garden challenges are big or small, Caroline can help you find comprehensive, cost-effective solutions. As a professional landscape designer, Caroline's mission is to create the garden that you want. Every garden is a collaboration between designer and the home owner; the designer brings skills, knowledge and experience. You bring ideas, needs, memories and preferences. Together, the garden created is uniquely yours. Visit Caroline's blog: http://carolinesgardenparty.blogspot.com to read more of her thoughts on gardens.